This one woman show about the unfulfilled potential of a girl experiencing a quarter-life crisis required nothing short of a tour de force performance to make it work and it received this in abundance from Sarah Lindsey. 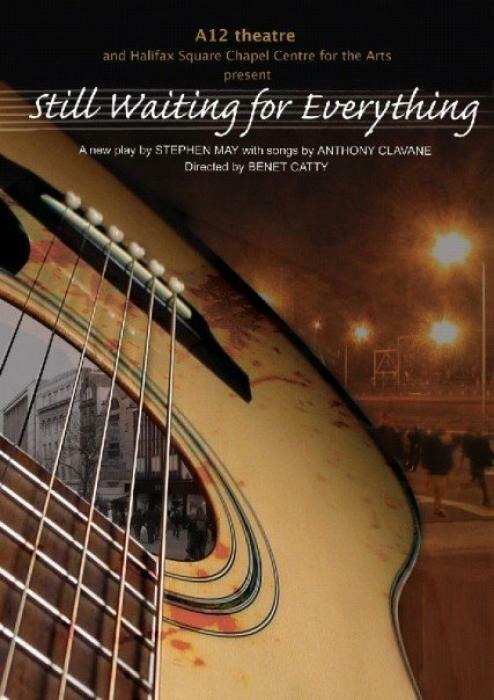 Written by Stephen May, ‘Still Waiting for Everything’ joins budding rock star Diana Price on a night when she has realised that all the promise she represented as a child has been wasted as she sank into a mire of all the traditional pitfalls a young girl might encounter, from shoplifting to benefit fraud and from failed relationships to pregnancy. Including the songs she wrote at different moments in her life, written by Sunday Mirror sports journalist Anthony Clavane, the play joins her as she records a DVD to send to some of the important people in her world. She works her way through the life and times she has lead, remembers the characters and sagas she has endured, re-mixes many of the drinks that accompanied these mistakes, and decides how to bring it to an end. What started as an extremely long draft was drastically abbreviated, developed, structured and revised by Benet and Sarah Lindsey over the course of the three week rehearsal period, and gradually their revisions and their new take on the material began to bring the strengths of May’s writing into greater focus, and the character into a more cohesive whole. The exact use of the six songs was also given detailed attention, as were the numerous underscorings and melody reprises which Lindsey would have to perform beneath spoken dialogue. May and Clavane were very open in allowing their two colleagues’ experience and sense of structure bring the original work to performance. Even after the initial run in Halifax, changes both big and small were made to the script to tighten it still further, but the reactions remained consistently positive, not least from the press whose adulation of Lindsey’s performance was uniform. Nobody who saw it could be in any doubt that not only was her performance the reason for the show succeeding but that they were witnessing a star in the early stages of a highly successful career. She has since sung on television and in performances around the world.